iPhone 8 and iPhone 8 Plus have finally launched for the world, and the iPhone 8’s release date in India is September 29, 2017.
iPhone 8 and iPhone 8 Plus, some of the most awaited devices, have finally become official now. This is despite the iPhone X being the new Apple’s flagship brand. At the Steve Jobs Theater at Apple Campus on Tuesday, 12 September 2017, the Apple CEO Tim Cook finally covered off the successors to iPhone 7 and iPhone 7 Plus, by displaying several new upgrades over the last year’s models. 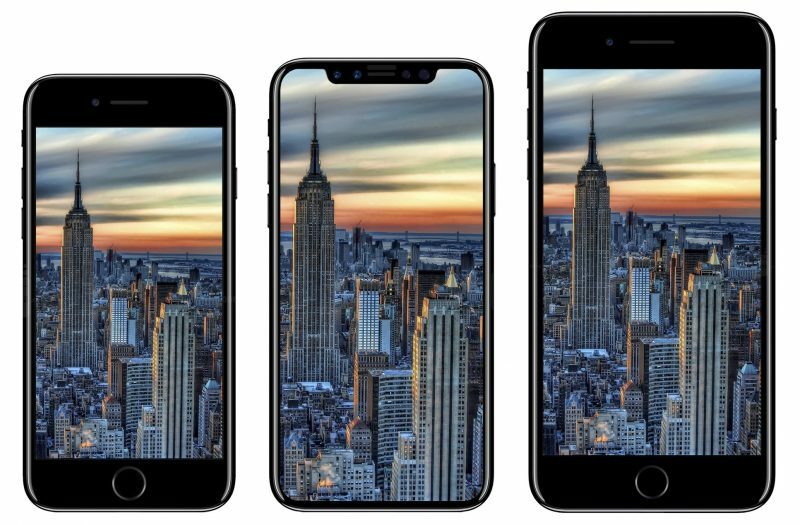 While the designs of iPhone 8 and iPhone 8 sincerely follow the same design theme as their predecessors, the new handsets sport a metal and glass bodies. And the recently launched devices also come in two storage variants —64 GB and 256 GB. The lastest launches are all set to go up for pre-orders in the US, the UK, China, Australia along with 25 other countries from September 15 2017. The shipping is slated to begin from September 22, 2017. This is date is about a month before the iPhone X goes on for pre-orders. The iPhone 8 for the 64 GB variant is priced in India at 64,000, INR. Whereas, the 256 GB model will cost 77,000 INR. On the similar grounds, the iPhone 8 Plus in India has been priced at 73,000 INR. This price is for the base 64GB storage variant. On the other hand, the model with 256 GB storage costs 86,000 INR. The iPhone 8’s release date in India is September 29, 2017, which is a part of the second phase of its release. Speaking of the iPhone 8 prices in the US, both the 64 GB and 256 GB variants of the smaller model will be priced at $699 and $849, respectively. And the iPhone 8 Plus will be priced at $799 and $949 for the 64 GB and 256 GB variants. The iPhone 8 and the iPhone 8 Plus both offer some incremental advances over the last year’s iPhone 7 and iPhone 7 Plus variants. The latest launches very much keep hold of the same form factor and design. However, there are a few noticeable changes, which include new color options such as Silver, Space Gray, and Gold Finish. They also include an improved display, 25 percent louder speakers, as well as a glass front and back. Both the new iPhone devices successfully support Qi wireless inductive charging. This technology will allow people to charge their iPhones without having to plug in a cable again. All this information was officially disclosed by Phil Schiller, who is the Vice President of Apple’s Worldwide Marketing. Apple’s iPhone 8 and iPhone 8 Plus are fueled by A11 Bionic SoC six-core processors along with improved GPU. This is 30 percent more efficient than the GPUs in last year’s iPhone models. The new SoC and GPU are fully capable of performing complex tasks, which include video encoding at much faster rate. The iPhone 8 and iPhone 8 Plus also come equipped with improved cameras. The company also added that photos now have a better detail, along with a smoother texture. This persists even as the iPhone 8 continues to have 12-megapixel camera. Moreover, the iPhone 8 Plus also has a duo of 12-megapixel camera sensors. Among other new capabilities, both the latest iPhone models can shoot 1080p videos in 240 frames per second. A lot is directed on the success of these iPhone models, especially in the stir of the insistent innovation and advancement shown by Android smartphone makers such as Xiaomi and OnePlus. Both the companies are increasingly dipping down iPhone’s best selling features to their phones at only a fraction of the price. Samsung, the South Korean tech giant, too, has improved its software and camera modules significantly over the years in order to give Apple a tough competition. All the Apple executives scooted on the stage with much excitement about the company’s new launched. But on the other hand, several analysts and potential buyers of the iPhone expressed a diminished enthusiasm about the announcements after they learned much of the details about the upcoming products over the weekend, all thanks to a huge leak that seemed to have happened from within the company itself. However, the Apple executives on the stage didn’t acknowledge any of these leaks.